Luxury accommodation Review Mistere Urliup Spa and Retreat New South Wales. Mistere spa and retreat is a luxury spa escape in the middle of a tropical rainforest right in our own backyard. 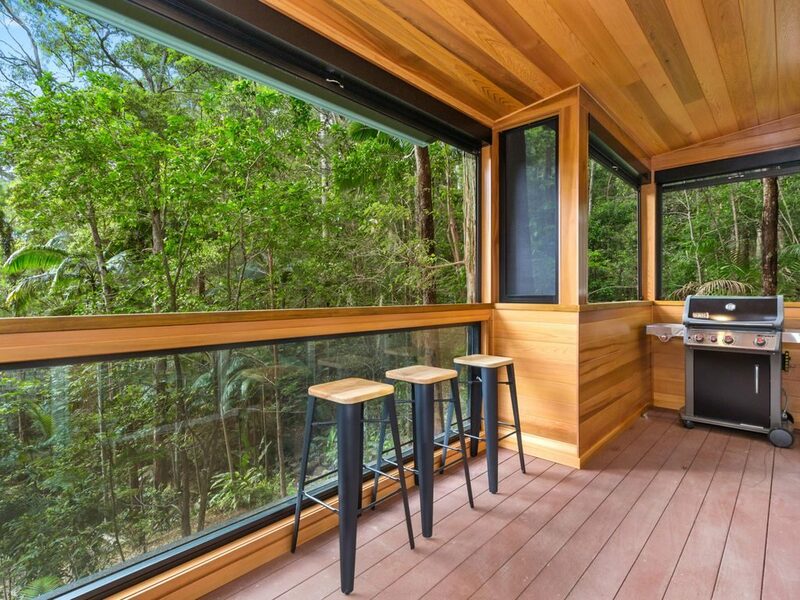 This Australian luxury getaway is as immersed in nature as you can get. 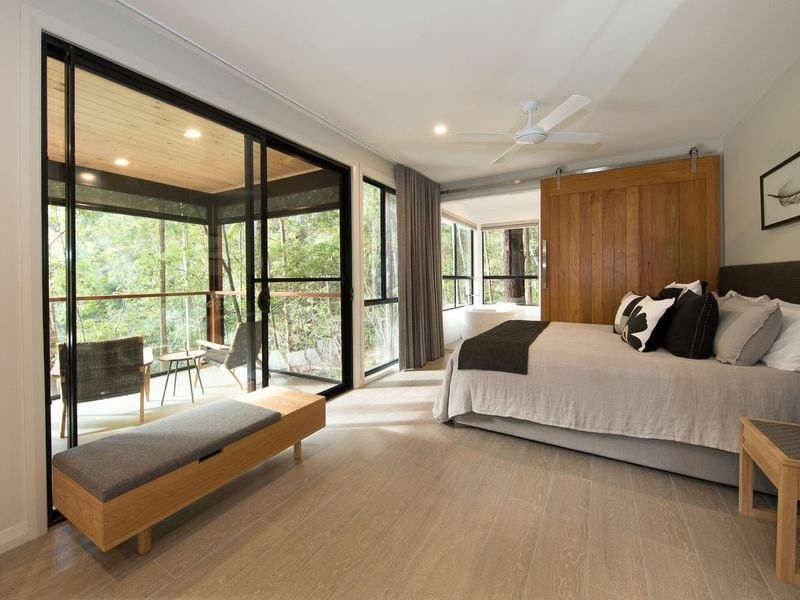 Three luxury private villas which have been completely refurbished sit in the middle of a lush, tranquil rainforest teaming with Australian animals including koalas, kookaburras, and exotic birds. The transition from my hectic life in Eastern Sydney as a single mum to two 10 year olds to the stillness and calm of Mistere was a pleasant shock to the system. I felt like I had landed in a tropical version of Wind In The Willows. Staying in Fountain View Villa, my room overlooked a stunning body of water with a pelican fountain in the middle creating absolute calm within nature. It was sheer bliss. 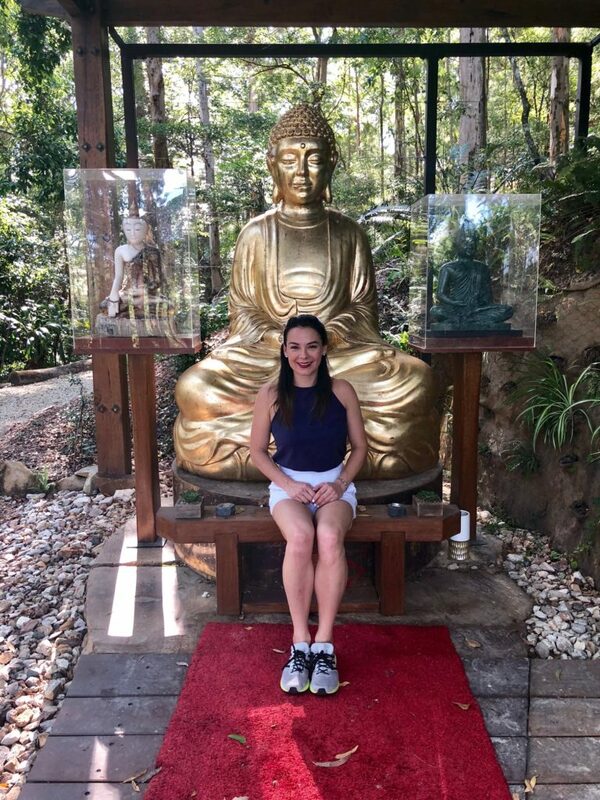 There are walking trails throughout property that wind up and down the forest with lush waterfalls, spectacular views, glistening fish-filled dams and stunning sculptures as well as a calming Zen Garden with a towering Buddha. A spa in one of the luxury villas at Mistere Spa And Retreat, Urliup, NSW. I walked around the 50 hectare property on a daily basis which was great for my fitness, and my lungs as I inhaled fresh air, and got up close to Australian flora for the first time in a long time. 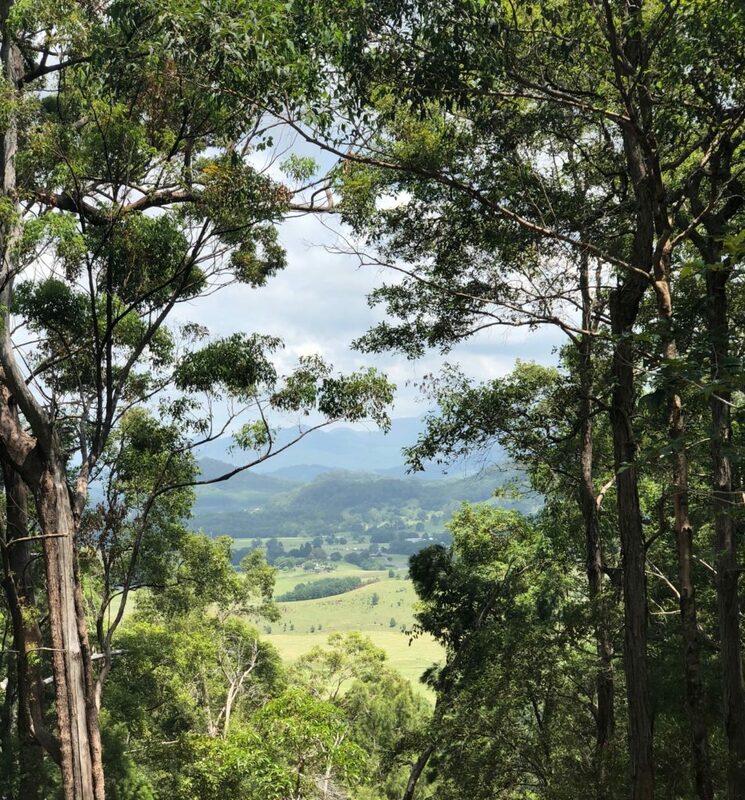 I felt myself breathing out a lot – this is one of the best places I’ve found in Australia and certainly the best in New South Wales to truly relax. The striking view from Mountainview Villa. One of the aspects of Mistere that is so rare for Australia is the standard of luxury accommodation. Everything has been well thought out, and cleverly designed, with luxury living in mind. It’s as soothing and secluded as it is luxurious. Each of the three stylish one bedroom villas has a spacious glistening new bathroom with a spa bath, and rainfall showers. They all have a gorgeous new kitchen, weber bbq, flat screen TV, and there are luxury beds, air conditioners and gas fires. Each villa has stunning but very different views, and each one offers a very different feel. One, Mountain view Villa even has a sauna. Renae Leith-Manos in the Zen Garden at Mistere Spa And Retreat, Urliup. There are books everywhere, as this is the type of place reading is a pleasure – as you actually feel like you can indulge yourself. There is wifi, but I tried to avoid it to connect with the rainforest rather than work. Baskets of food are on offer for breakfast and dinner, and it was a pleasure to BBQ a steak and make a salad and unwind in the middle of a beautiful piece of the Australian bush. The design of each villa is innovative and modern, with open-plan bedroom and living areas with sliding doors that can be opened to create a huge indoor/outdoor deck area on sunny days or closed off for complete quiet and seclusion at night. There are a myriad of adventures to be had outside the property. Spectacular crops of towering sugar cane grow in abundance nearby, the town of Murwillumbah has a gorgeous organic market on Wednesday mornings with everything from locally made almond milk to biscuits, breakfast and fresh produce. Many are calling the small town the next Byron Bay, as there are plenty of local restaurants and everything is well priced. The Gold Coast is close by, and Burleigh Heads is only 25 minutes away. I drove to the award winning restaurant The Fish House for dinner on my last night at Mistere Spa and Retreat and enjoyed the scenic drive as much as the meal. It’s a super relaxed, pretty, part of the world. A stay at Mistere Spa and Retreat is a treat any time of year, and I can understand why there are so many return guests. I could have stayed longer. It is a location that not only connects you with nature, but with yourself, which with today’s pace of life, is becoming tougher and tougher to find. I’ve already booked a trip back later in the year. 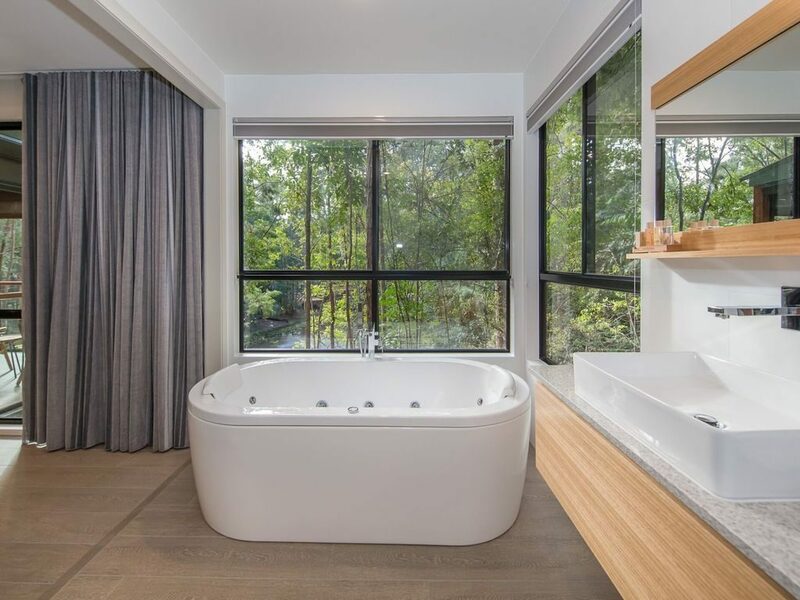 Mistere Spa and Retreat is located just 25 minutes from Coolangatta airport and 8 minutes drive from the bustling organic restaurants and shops of Murwillumbah, NSW. 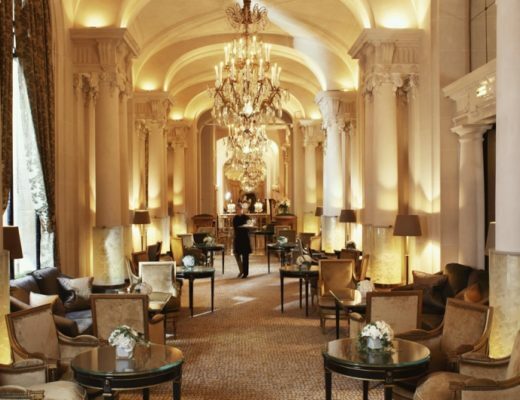 Paris Beauty: Luxurious Paris spas.